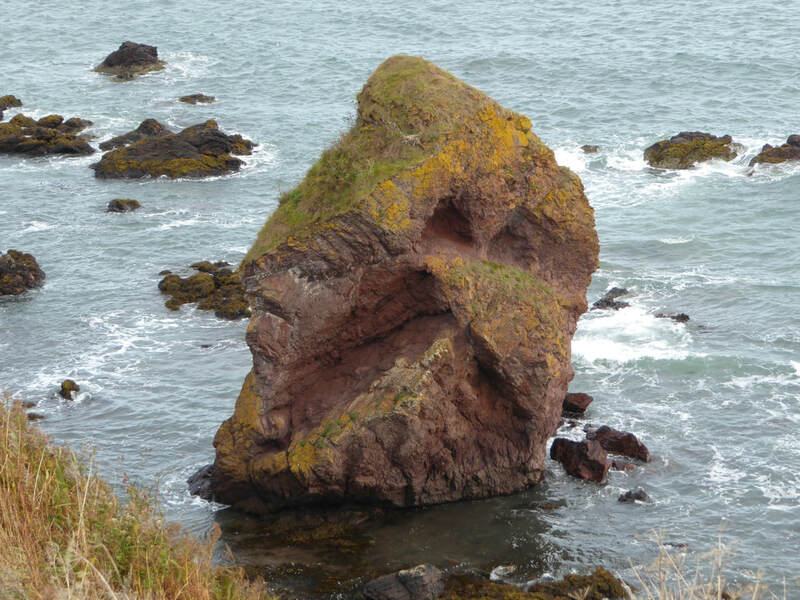 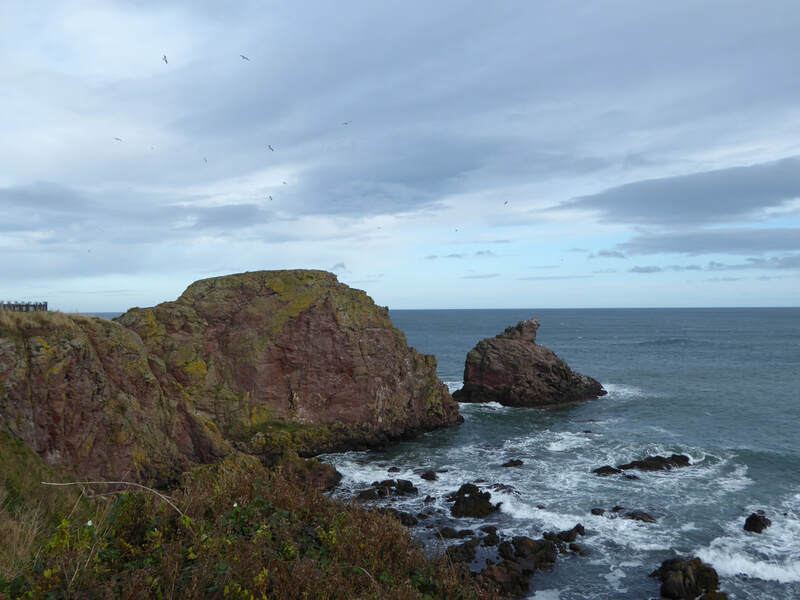 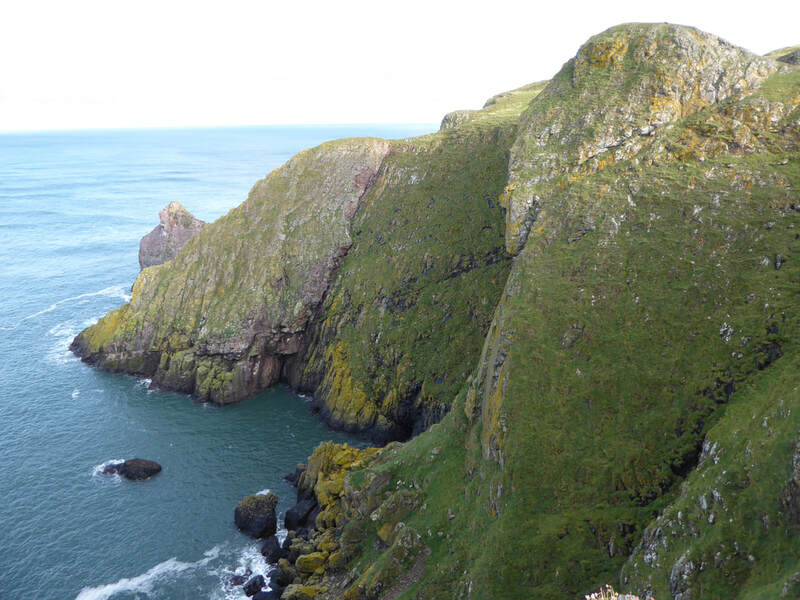 Not far over the English/Scottish eastern border is St Abbs Head - a rocky promontory near to the village of St Abbs which is just outside Coldingham. 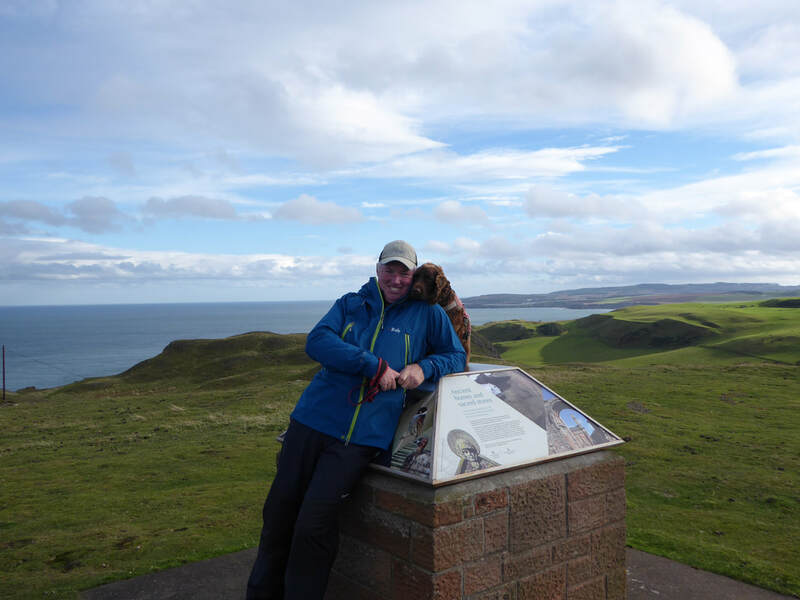 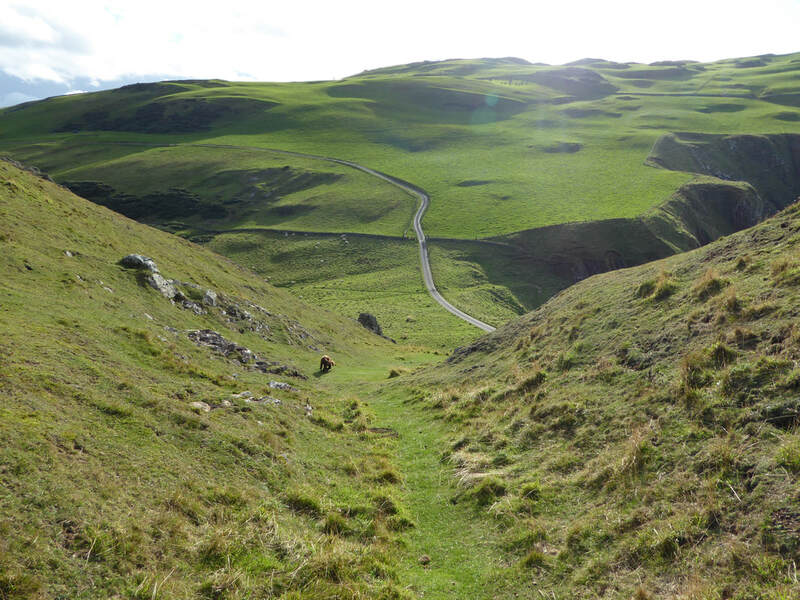 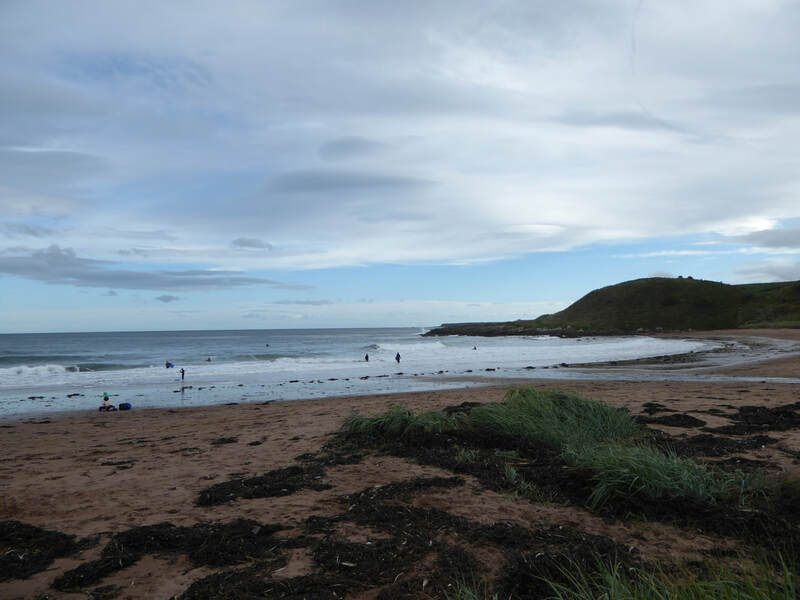 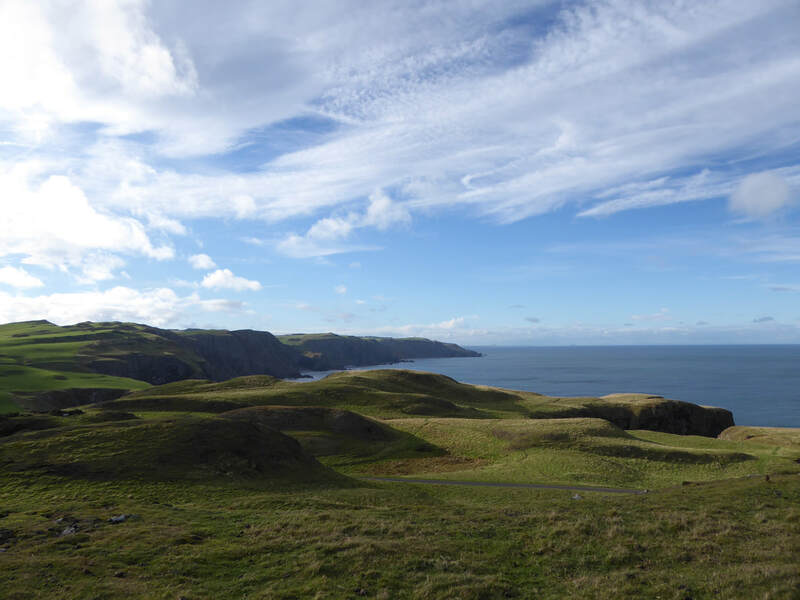 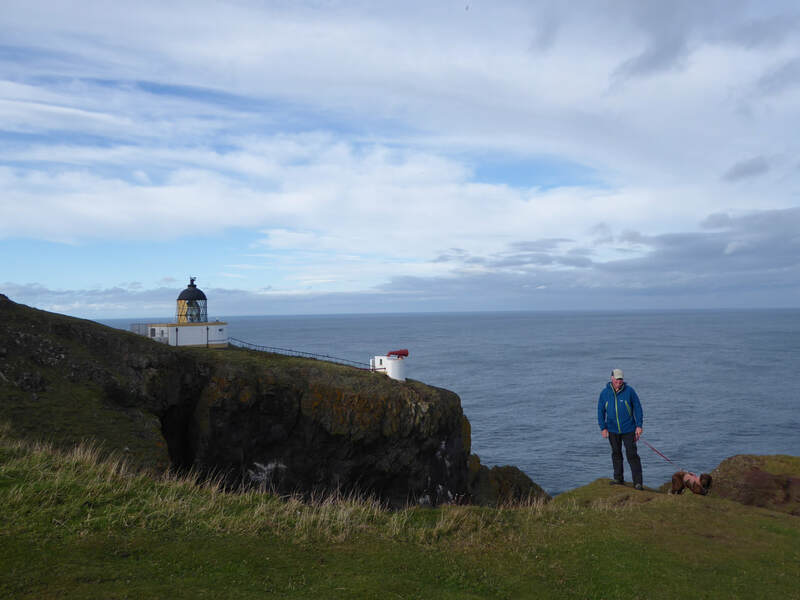 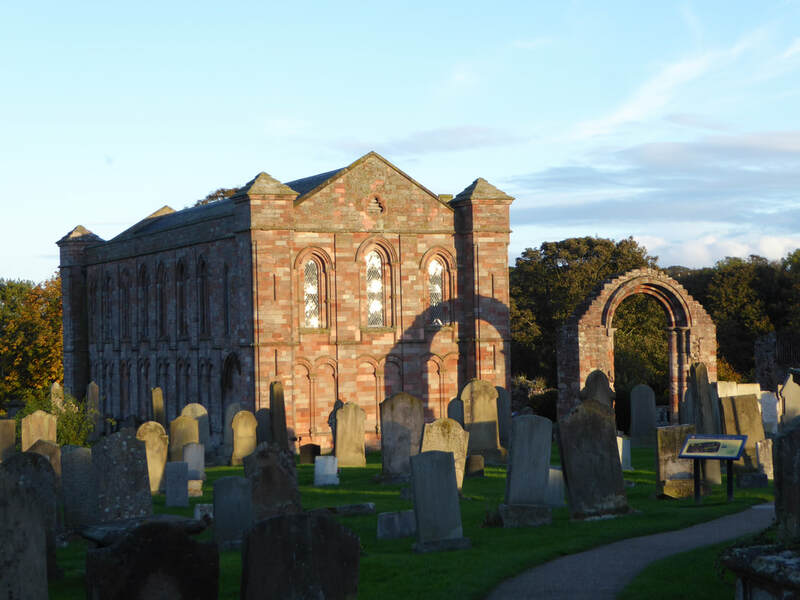 We were staying in Northumberland therefore hopped over the border to walk along some of Scotland's impressive eastern coastline - we were not disappointed. 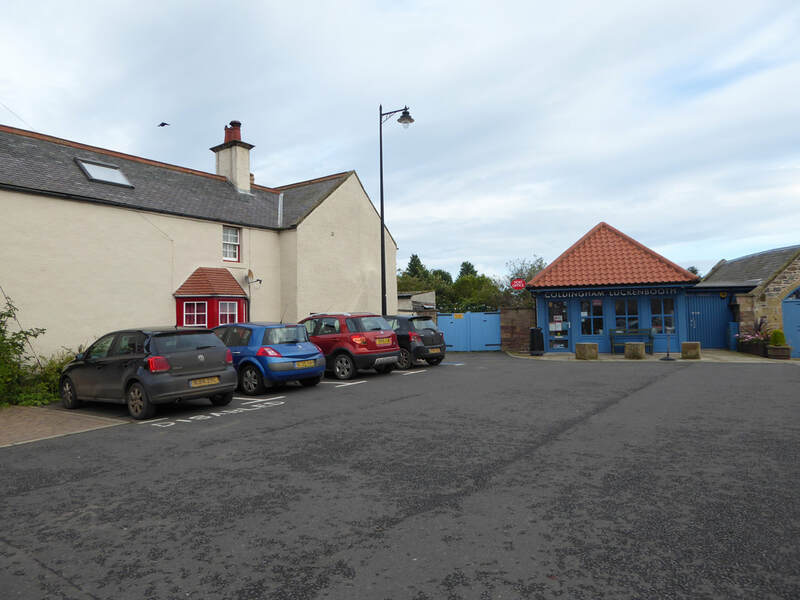 There are several car parks in Coldingham village - we had a bit of lunch in The New Inn therefore parked just over the road in the Luckenbooth Car Park. 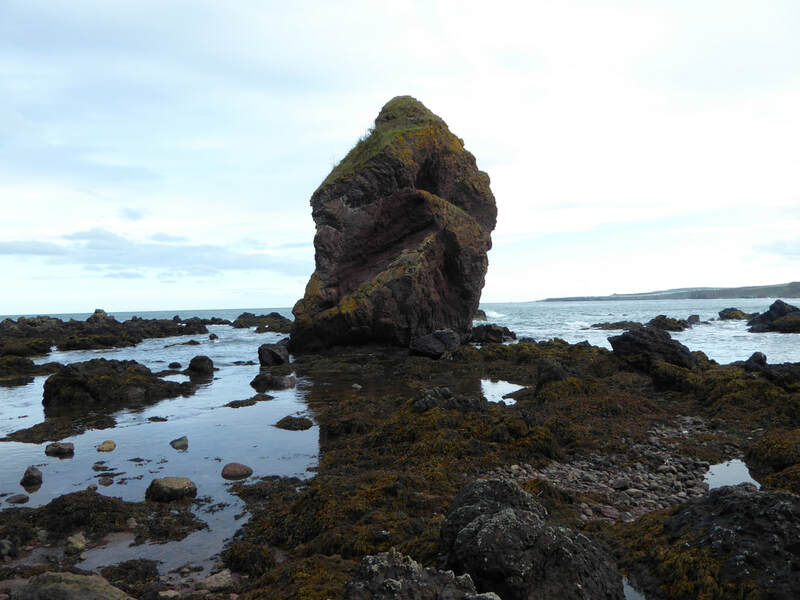 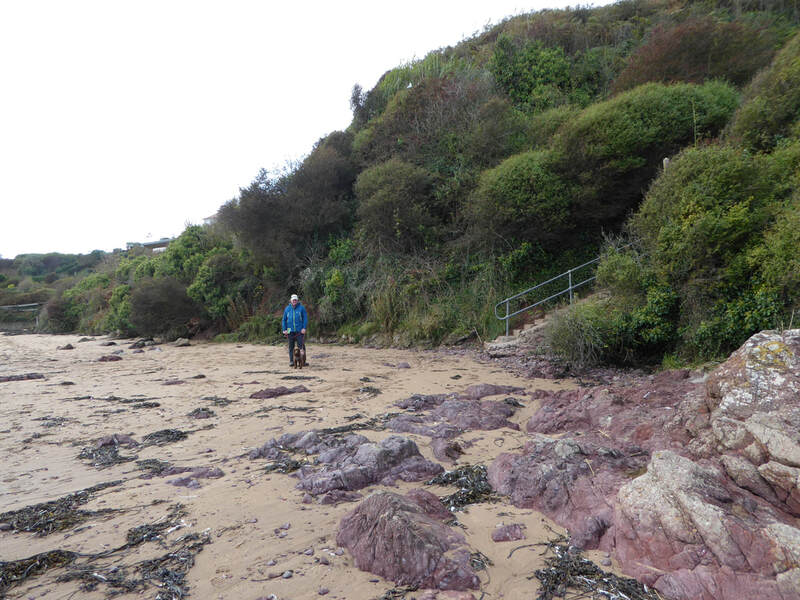 From the parking area the route headed along a minor road to reach Coldingham Bay from where there is a section walking along the sand to reach The Kip - an impressive 8 metre high sea stack. 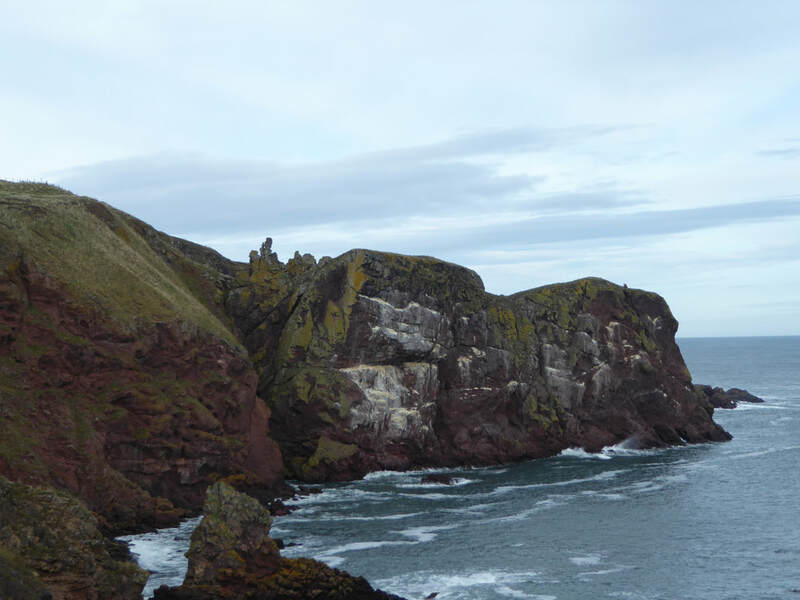 From The Kip a set of steps climbed to reach a path which took us along the cliff edge to reach the village of St Abbs. 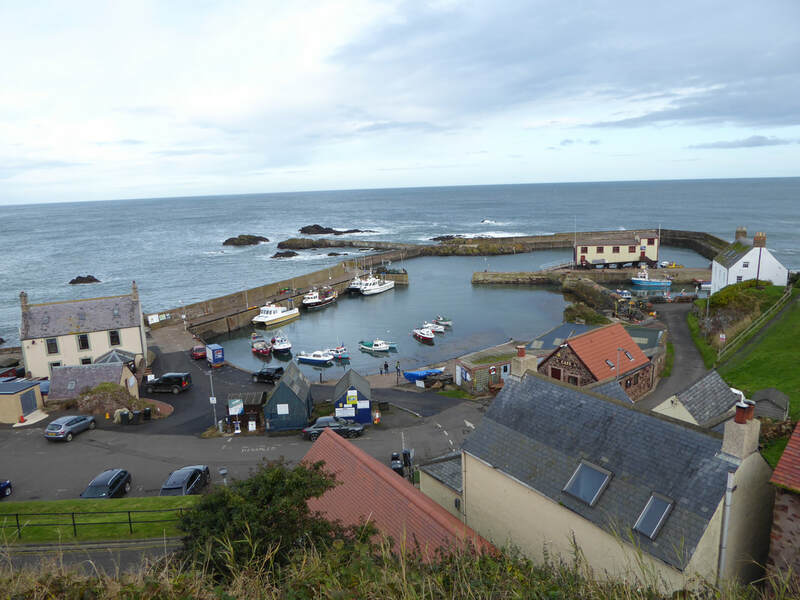 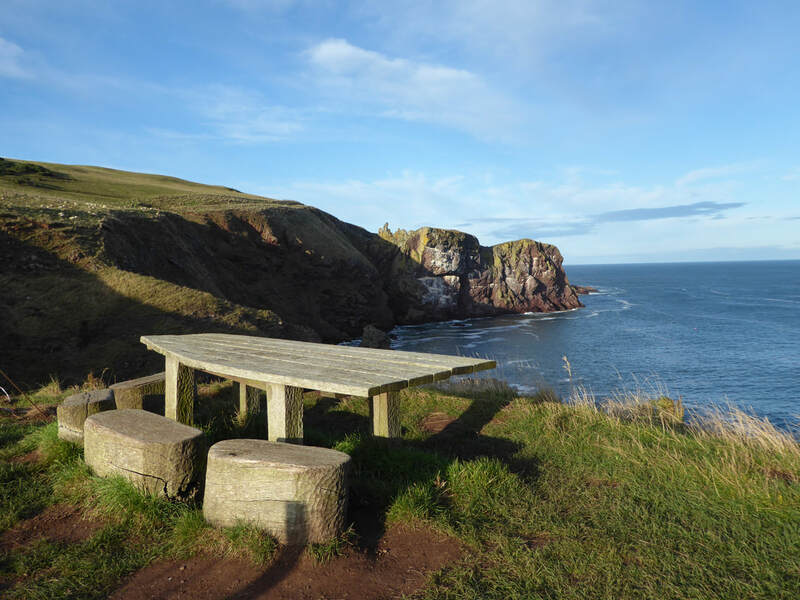 ​St Abbs is a delightful and picturesque place with a small compact harbour. 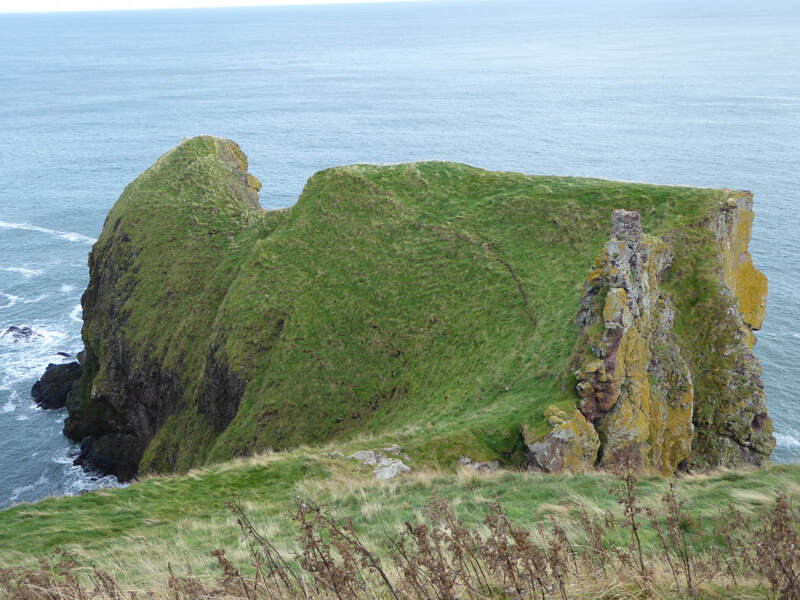 The village takes its name from the 7th century St Ebba, or Aebba, who is supposed to have established a nunnery along the cliffs just north of the village. 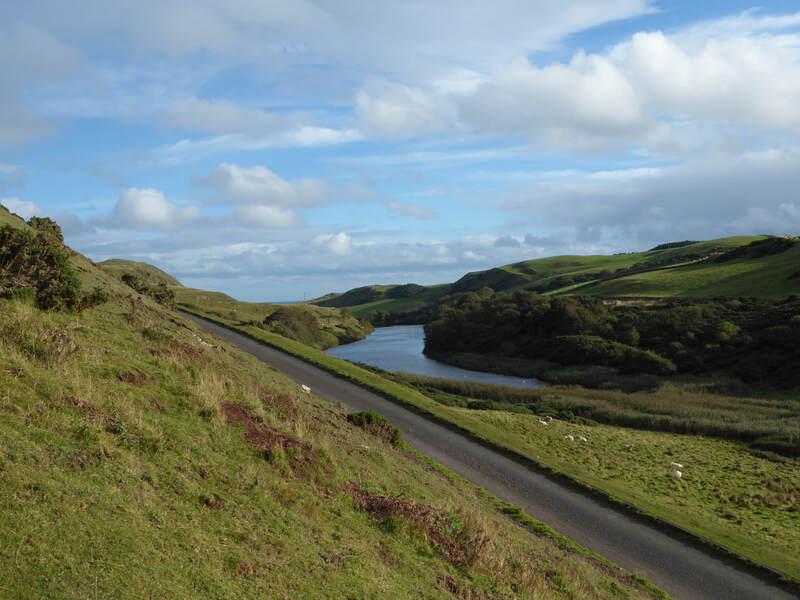 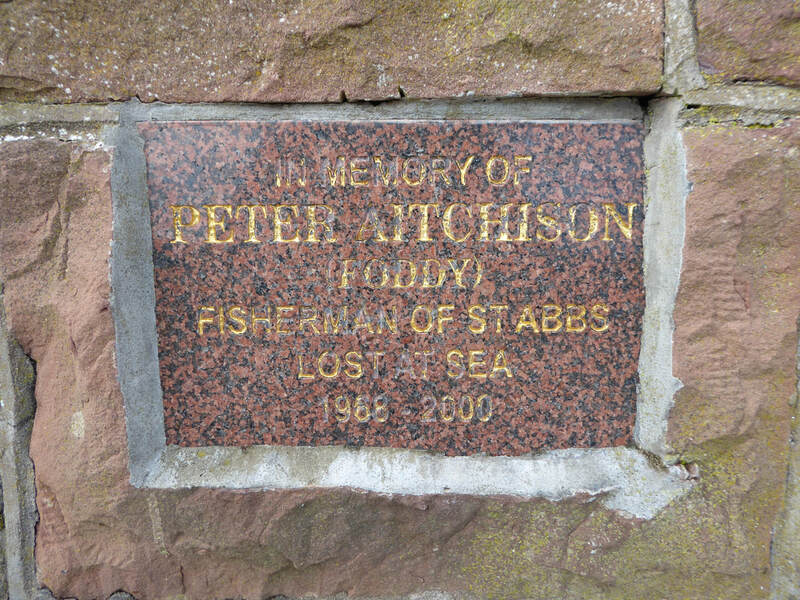 The route heads above the village & harbour, passing the memorial to 2 independent fishing disasters before heading inland to pass the former village church. 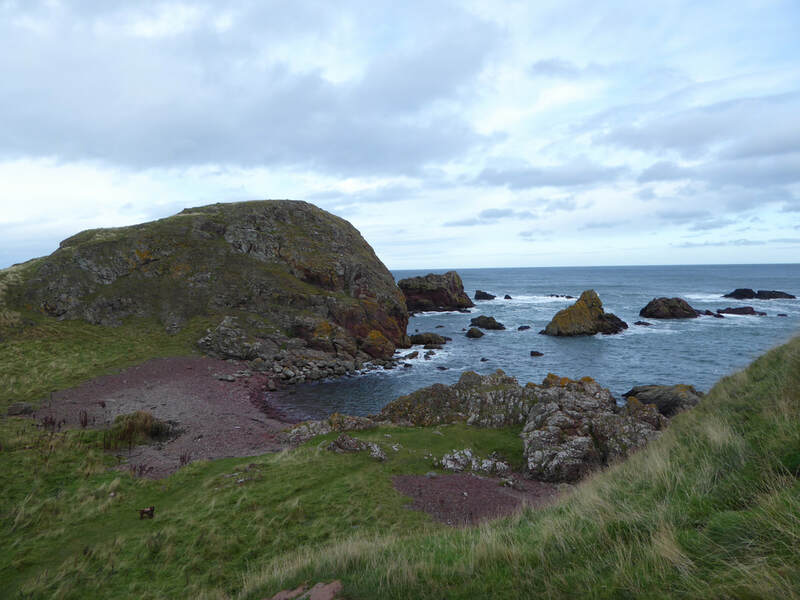 From the church a gravel path leads back to the coast and this is where the scenery becomes more dramatic. 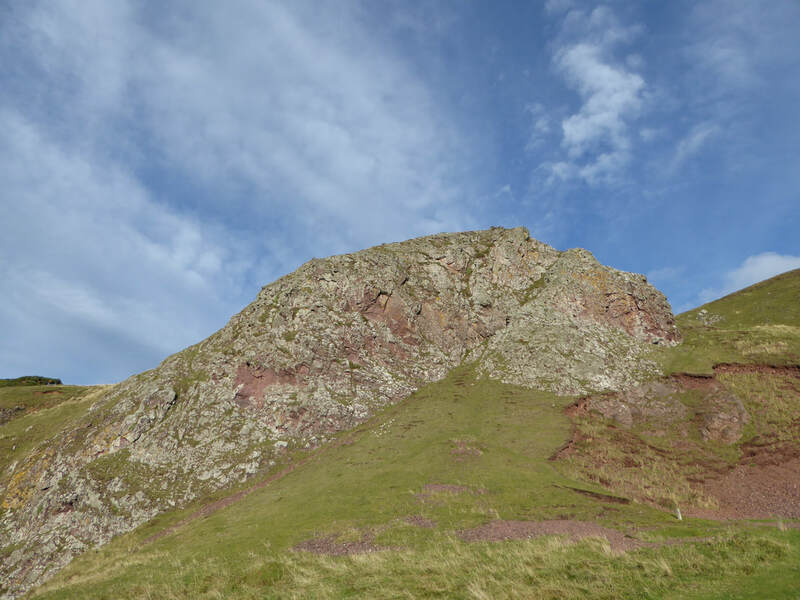 Heading around Starney Bay, the interesting rock formations of White Heugh come into view and from here the path moves away from the coast for a few hundred yards before joining the coast again near Horsecastle Bay. 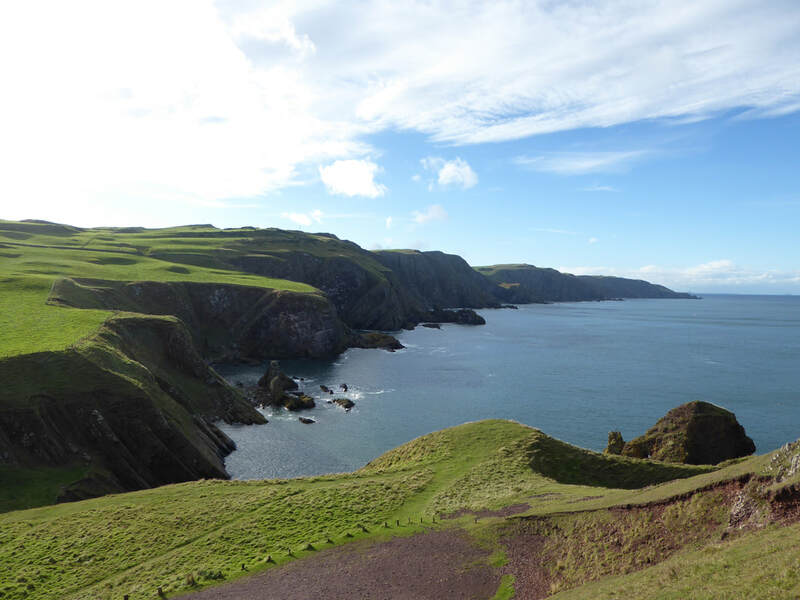 From Horsecastle Bay the route heads to Kirk Hill and the site of a former monastery to then reach the Lighthouse before rounding the headland, dropping steeply to Pettico Wick. 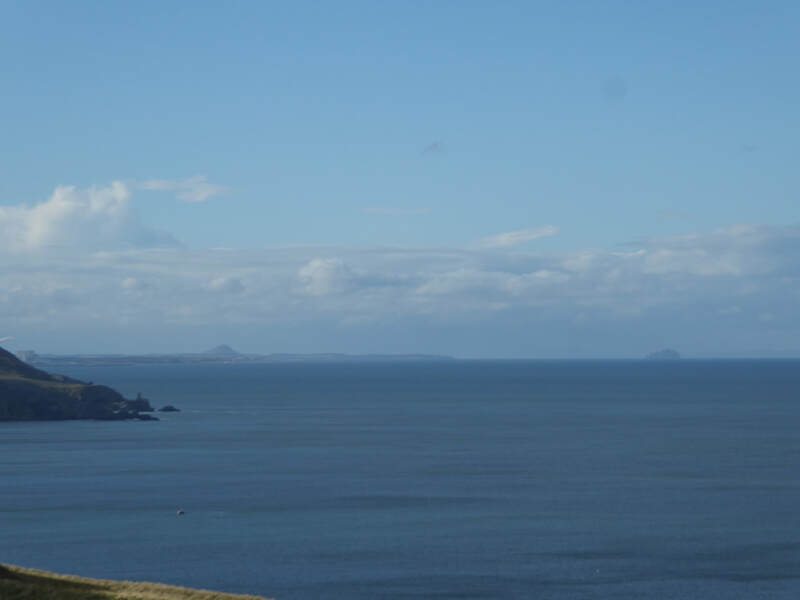 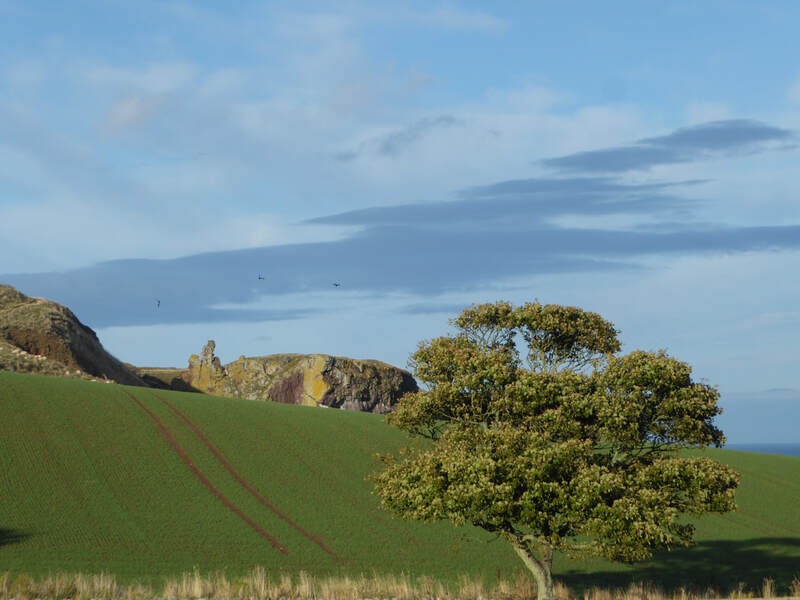 It is quite beautiful here with the coast stretching away towards North Berwick and the outcrop of Bass Rock clearly visible. 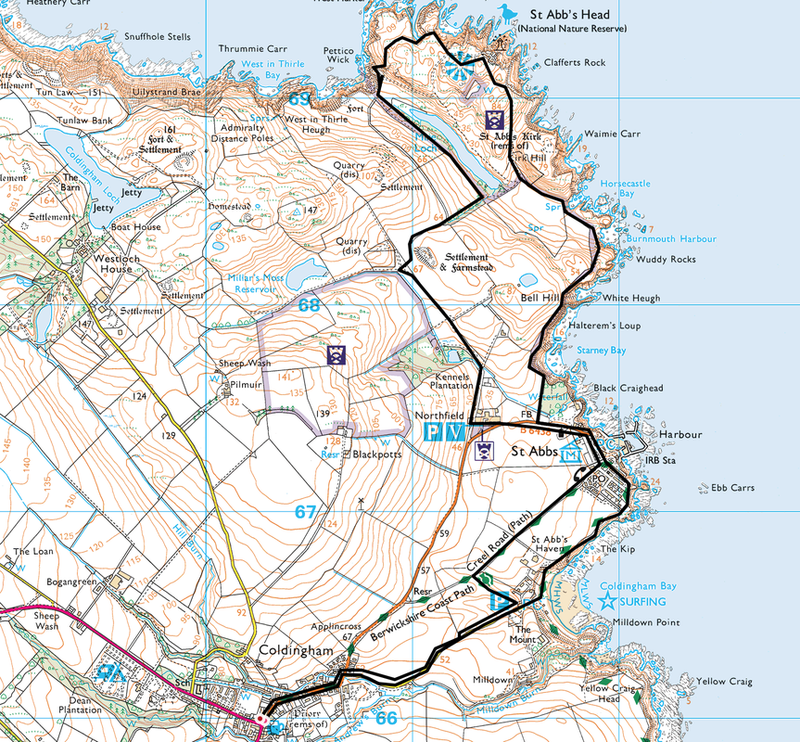 The path now headed inland away from the coast to continue through the Nature Reserve along the woodland shore of Mire Loch. 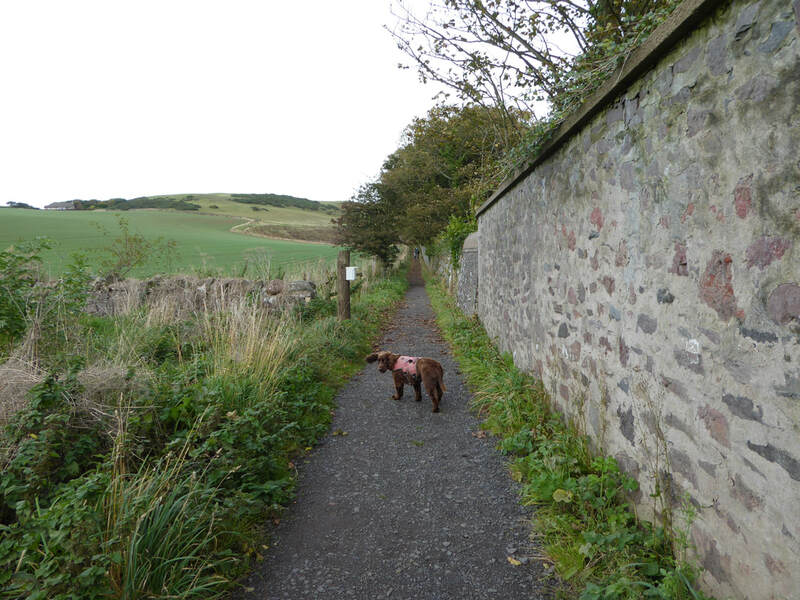 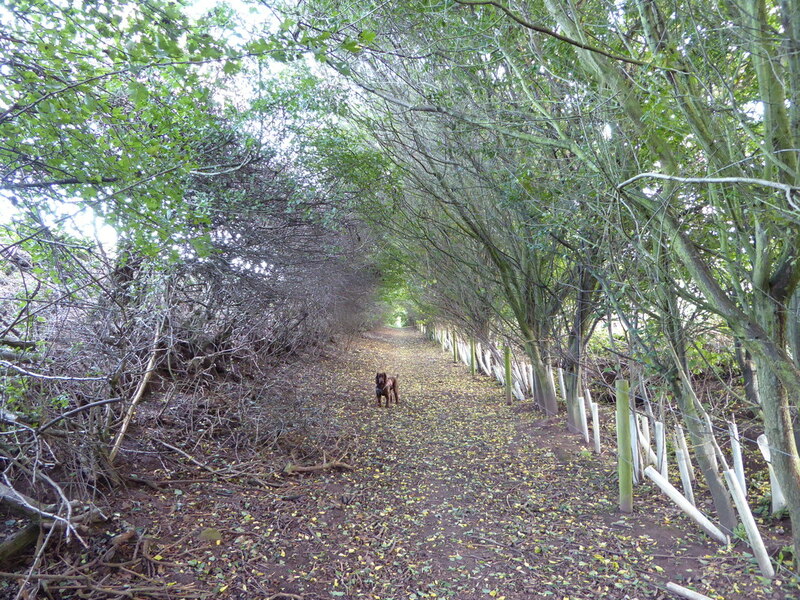 This is a delightful stretch and meanders along grassy paths with some minor road walking including a beautiful tree lined path near Northfield which took us back into St Abbs village. 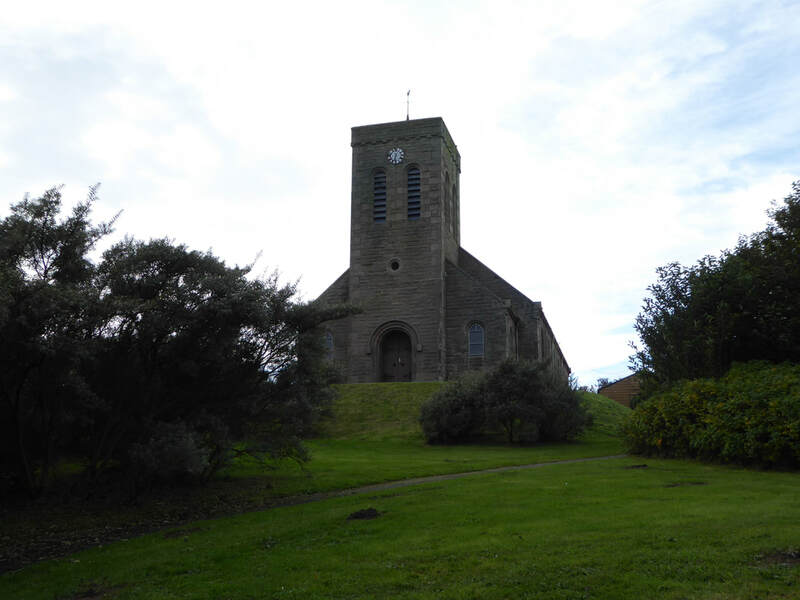 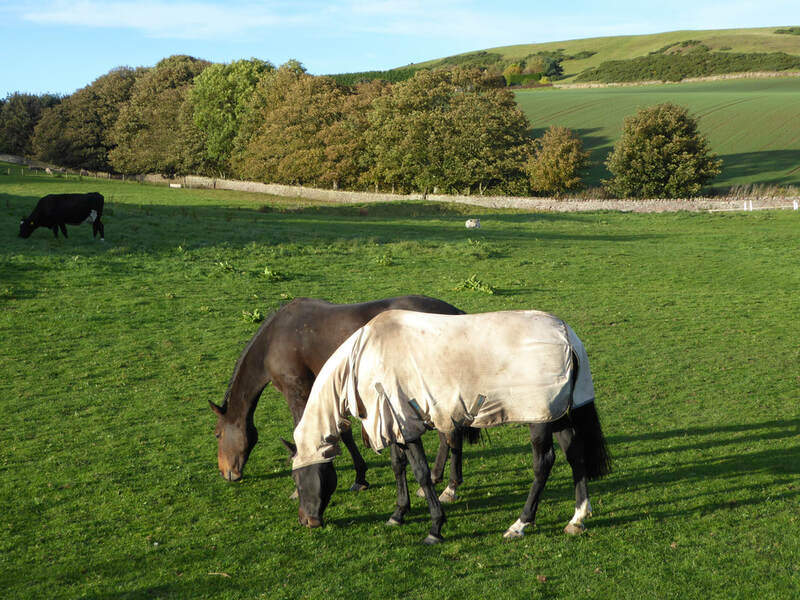 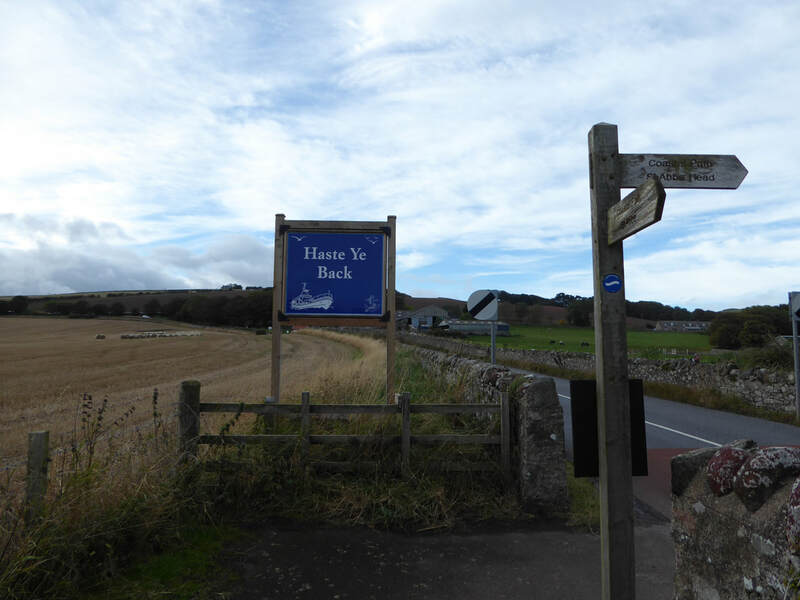 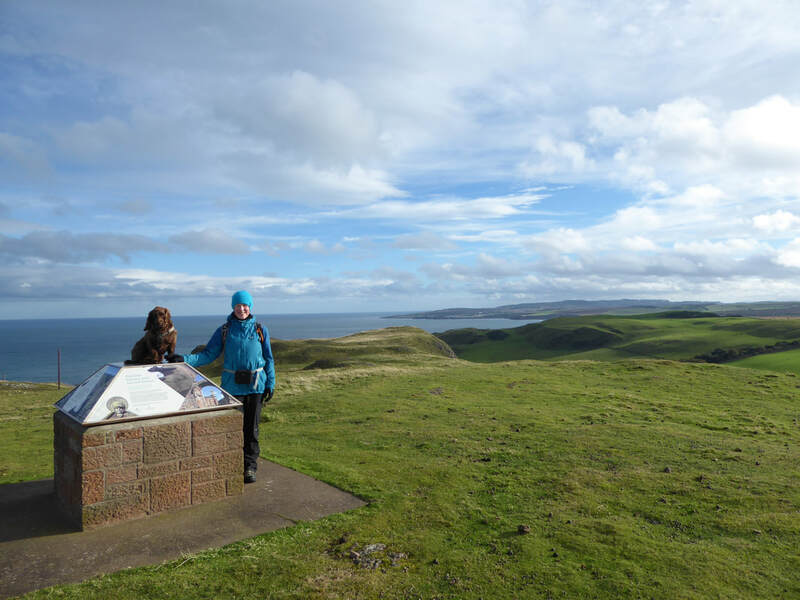 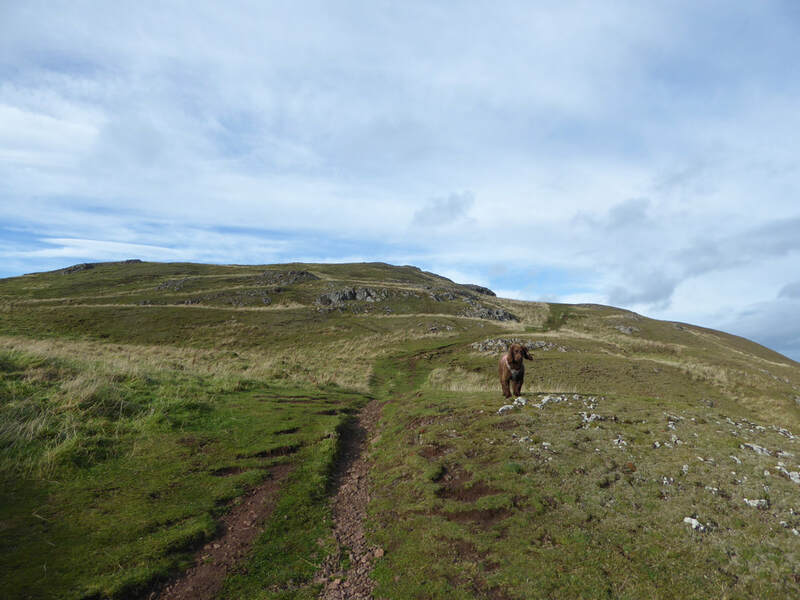 From the village it was a simple walk along a path known as the Creel Road which took us back to join our outward route to eventually return to Coldingham. 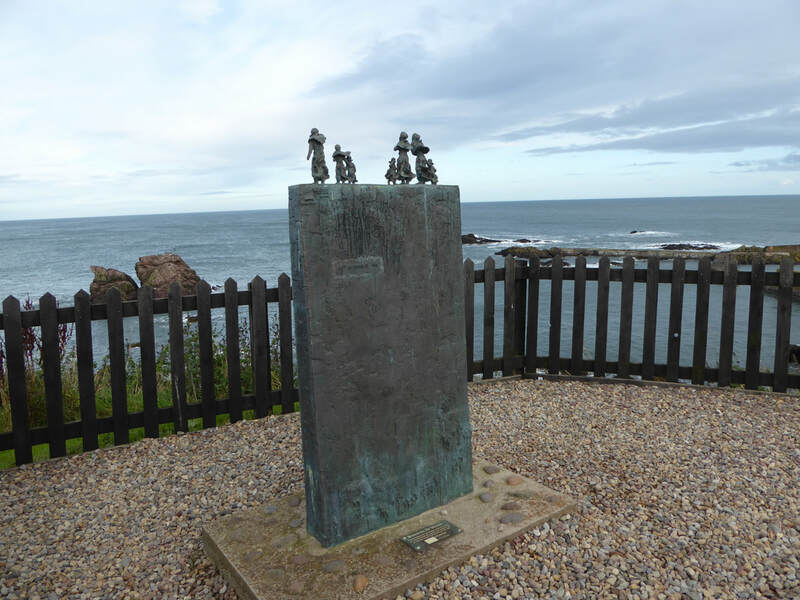 The 8 metre high sea stack in Coldingham Bay known as "The Kip"
The bronze memorial at St Abbs in memory of the Eyemouth Fishing Disaster. 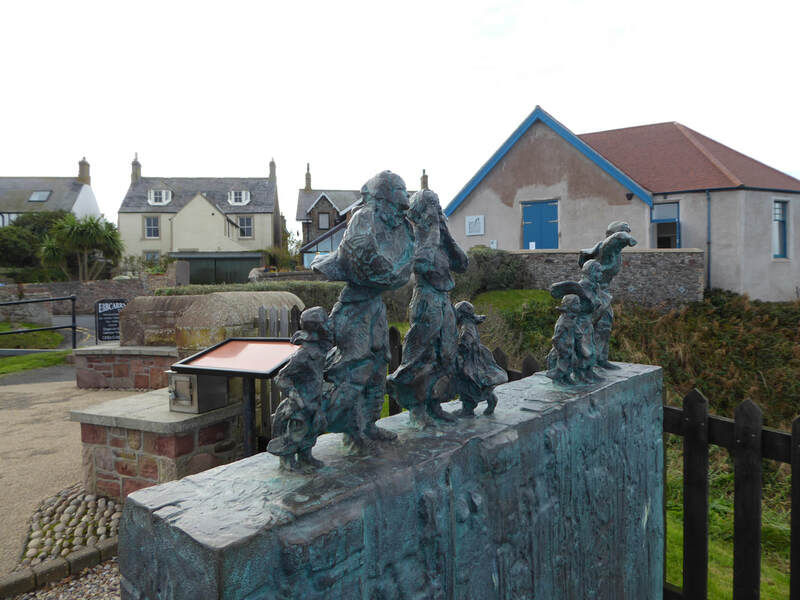 The memorial consists of the figures of wives and children, braced against the wind looking out to sea for the return of their loved ones. 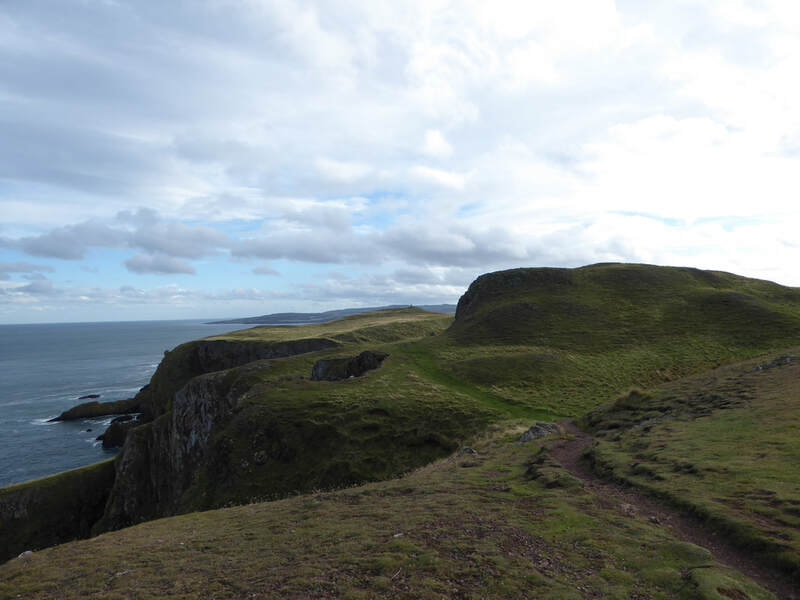 The disaster was caused by a severe European windstorm that struck the south eastern coast of Scotland on 14 October 1881. 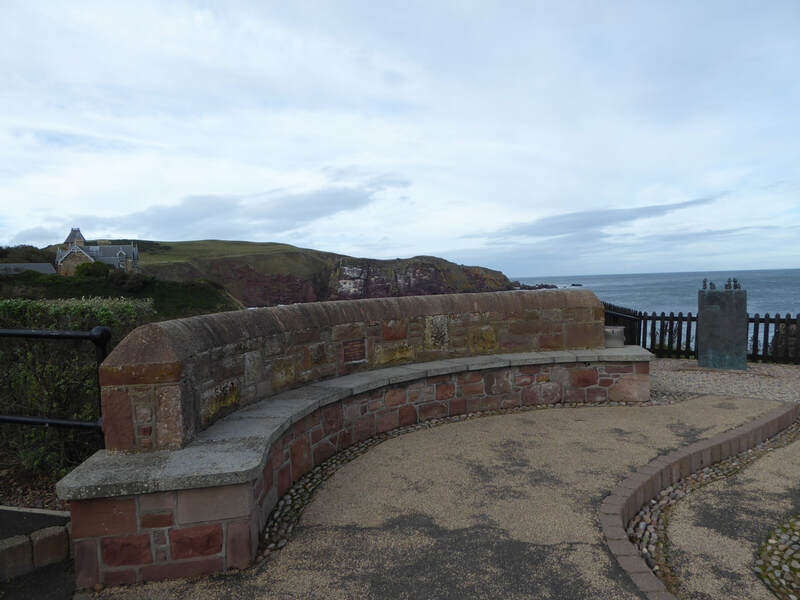 189 fishermen, most of whom were from the village of Eyemouth were drowned. 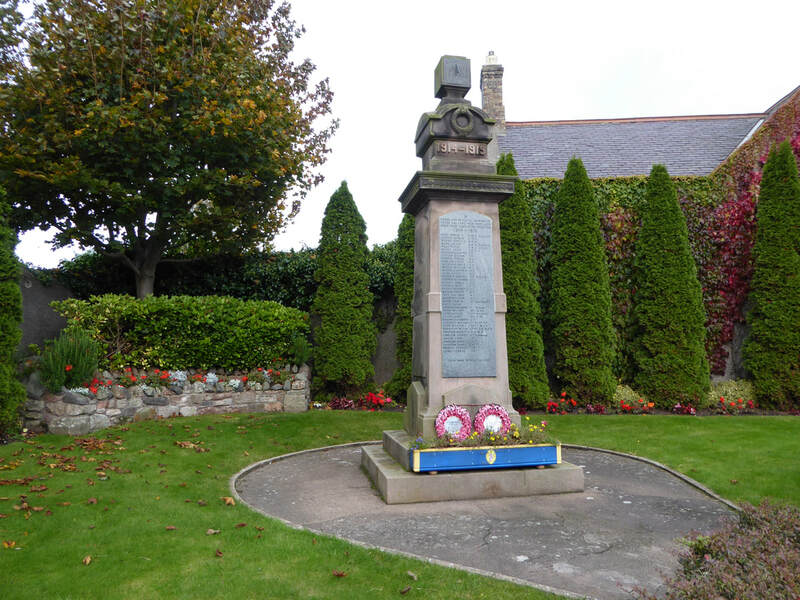 ​Many citizens of Eyemouth call the day "Black Friday".